​Argentina president, Mauricio Macri, has called for the searching of missing footballer Emiliano Sala to continue. Earlier in the week, Guernsey Police confirmed they had ended their search for Sala and pilot David Ibbotson after their plane travelling across the English Channel, citing 'extremely remote' chances of survival as the reason for their decision. In spite of the news, Argentina's president has thrown his support behind calls to resume search efforts for the pair, with Macri expected to ask his foreign minister, Jorge Faurie, to contact the embassies of both Great Britain and France to do so. A statement from the president's office, via the ​BBC, read: "President Mauricio Macri instructed foreign minister Jorge Faurie to make a formal request to the governments of Great Britain and France to ask them to maintain the search efforts." Macri is the latest individual to back calls for the search of Sala and Ibbotson to continue, with Sala's sister Romina also insisting that efforts to find the pair should continue following their tragic disappearance. Through a translator, she said: "We are convinced Emiliano and the pilot are alive somewhere in the channel. I'm still in shock. We know Emiliano and the pilot are still alive. We want to go and search for them. Sala had become ​Cardiff City's most expensive player after completing a £15m move from Ligue 1 side Nantes, where he scored 12 goals in 19 league games this season prior to his proposed move to the ​Premier League. 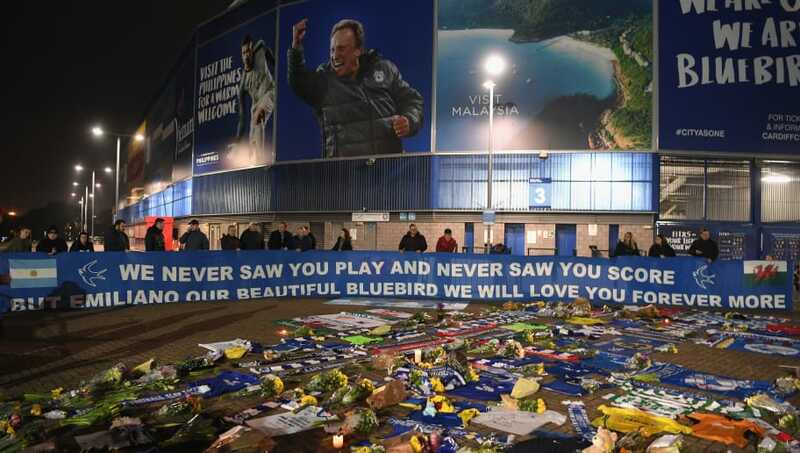 Despite news of the 28-year-old's disappearance, ​the Bluebirds aren't expected to sign an alternative to Sala so soon after the incident.